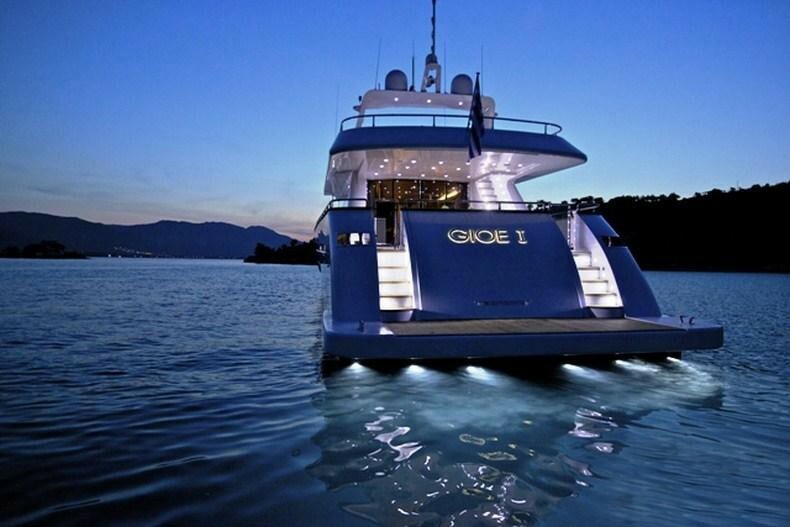 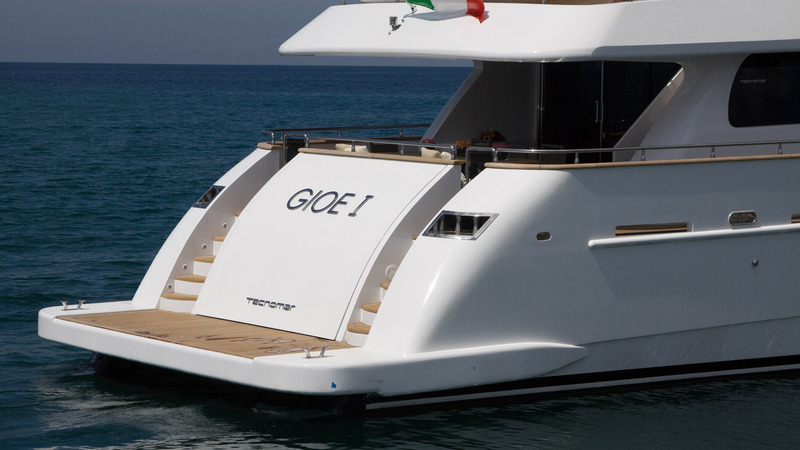 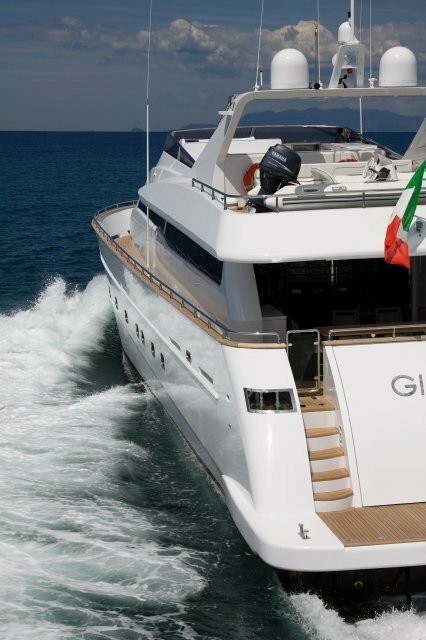 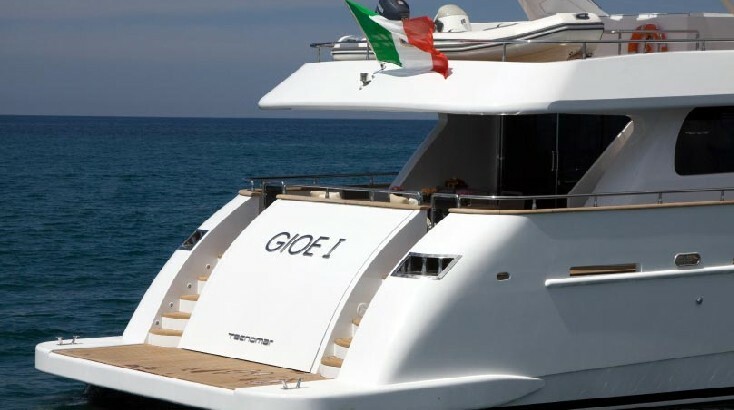 GIOE I is a Technomar motor yacht launched in 2009. 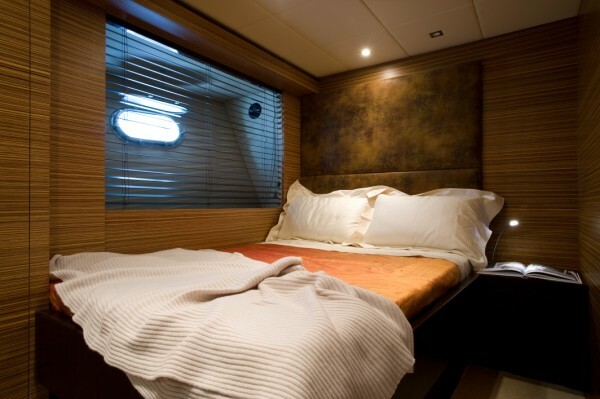 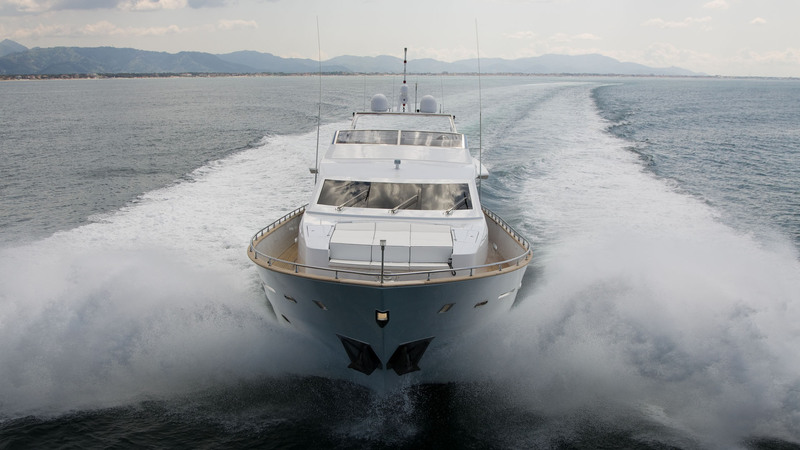 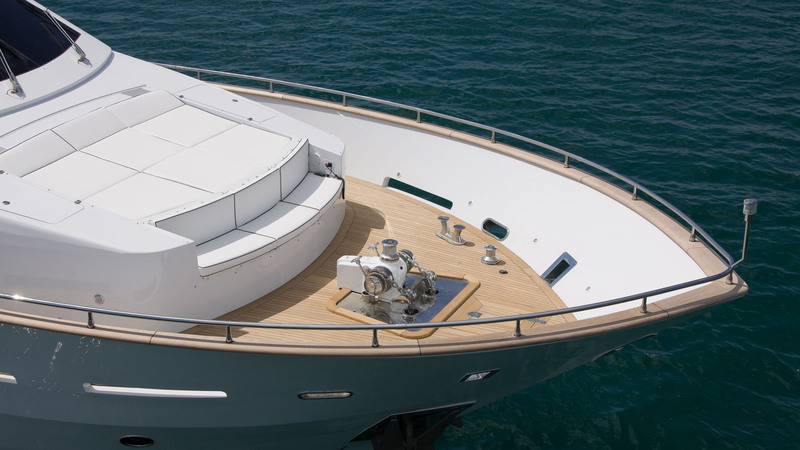 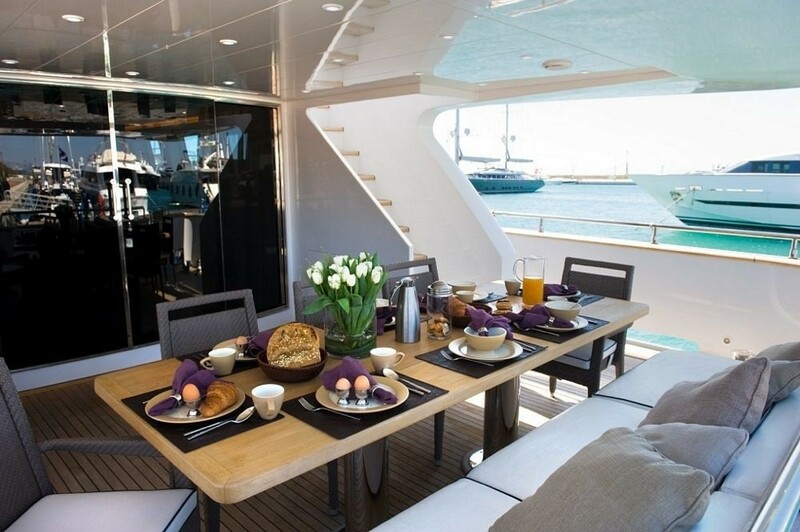 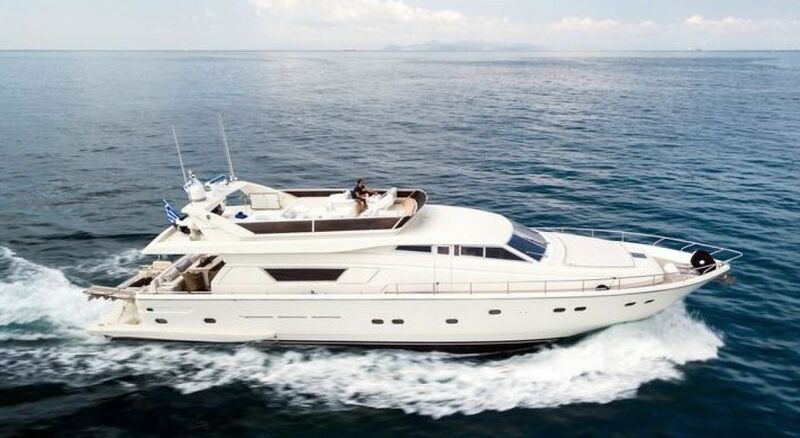 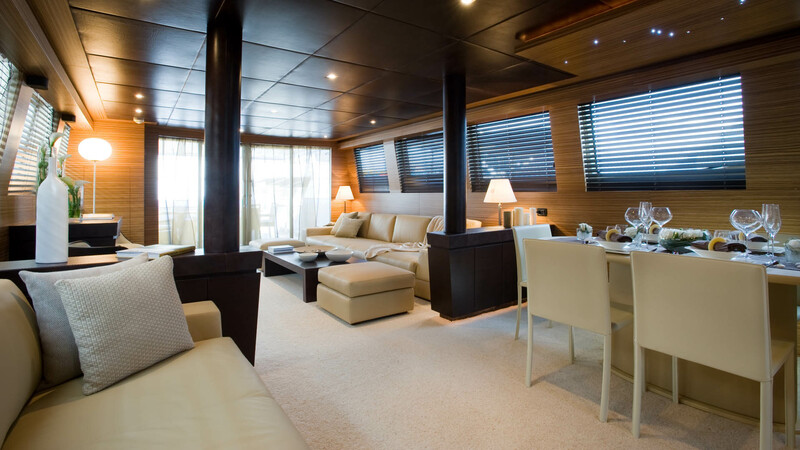 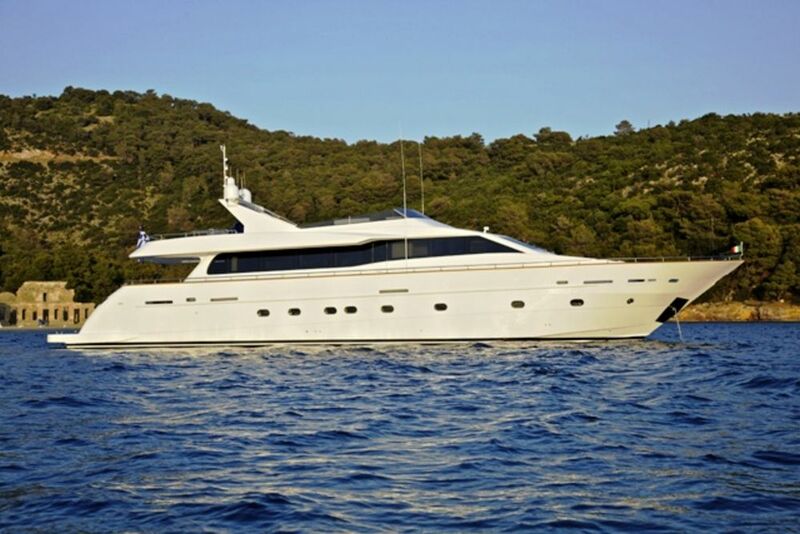 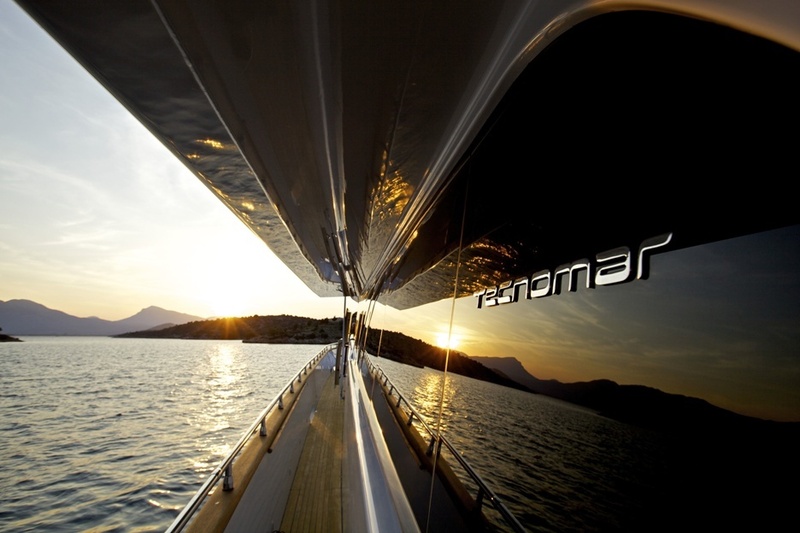 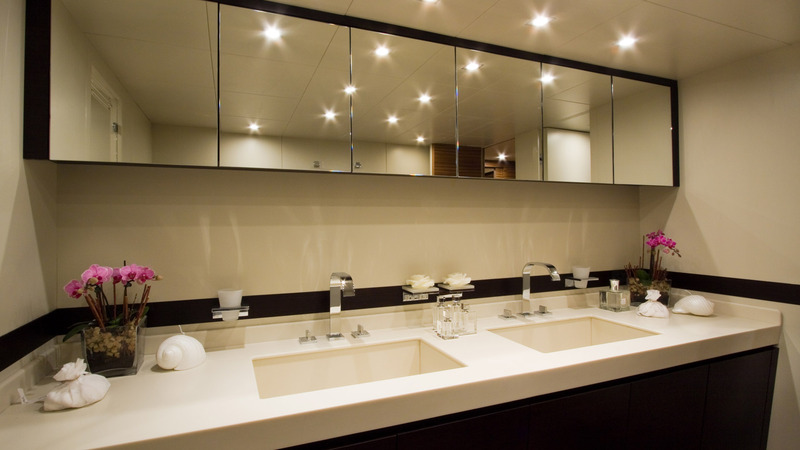 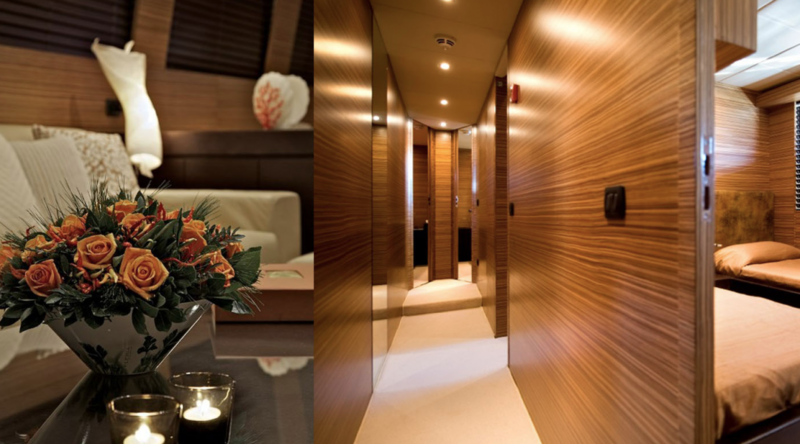 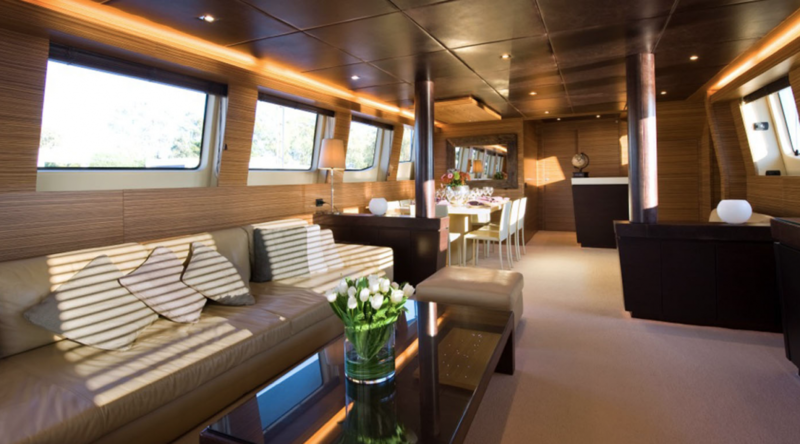 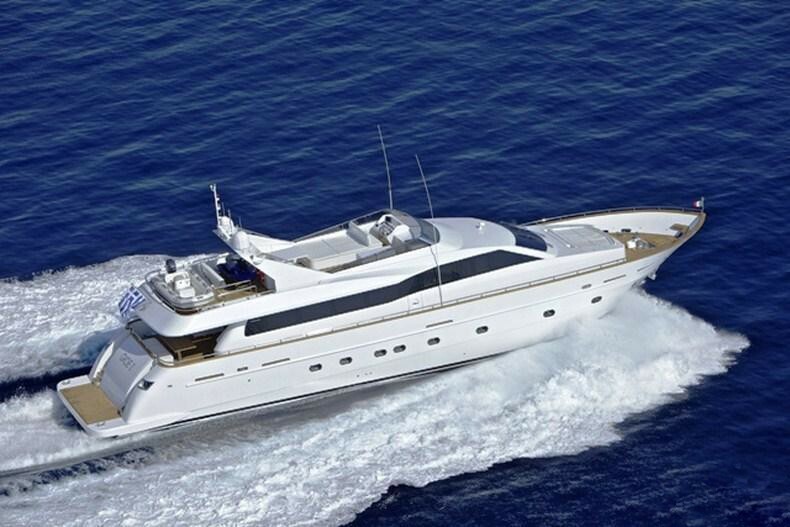 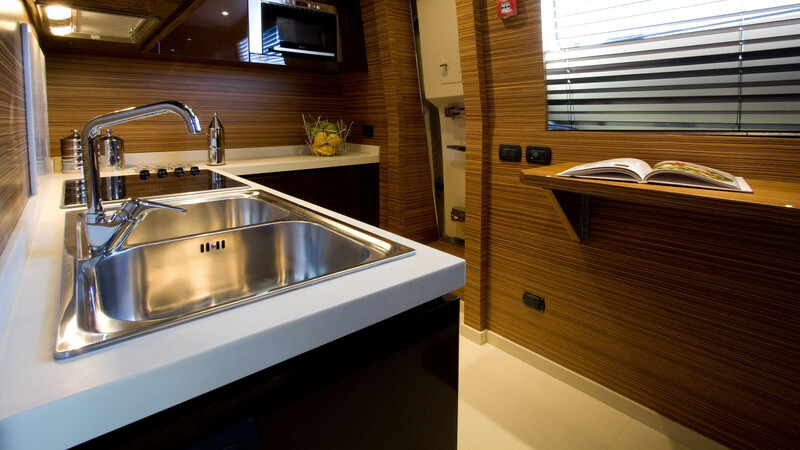 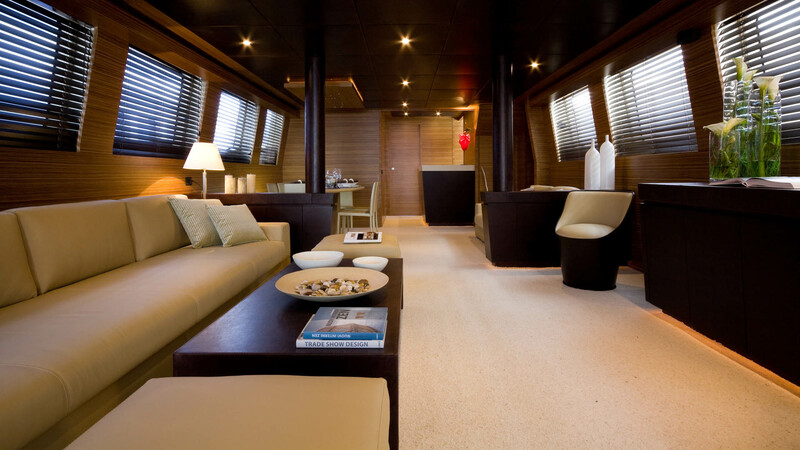 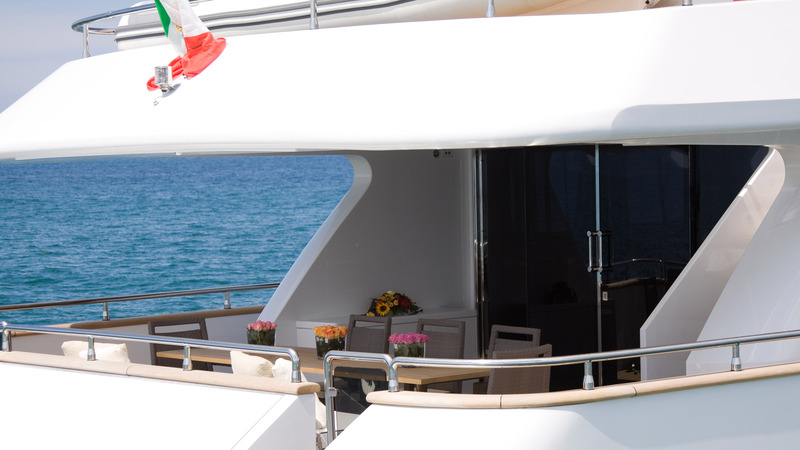 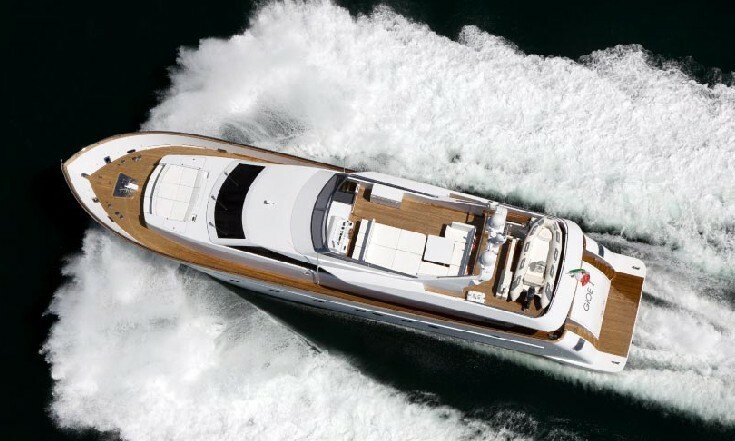 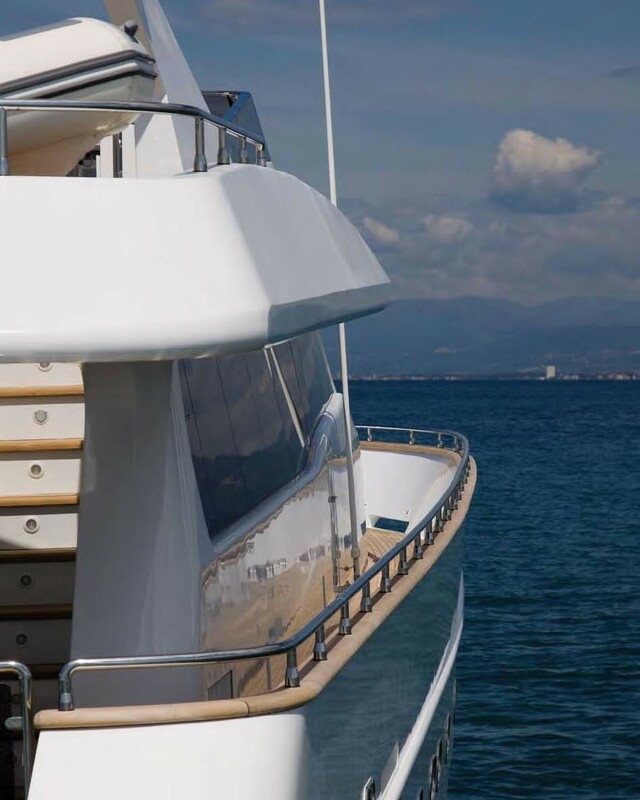 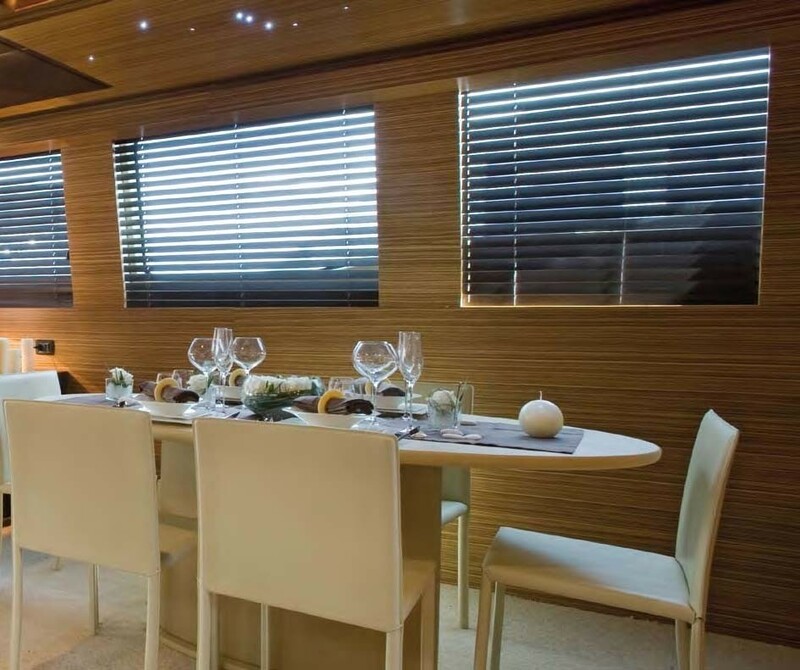 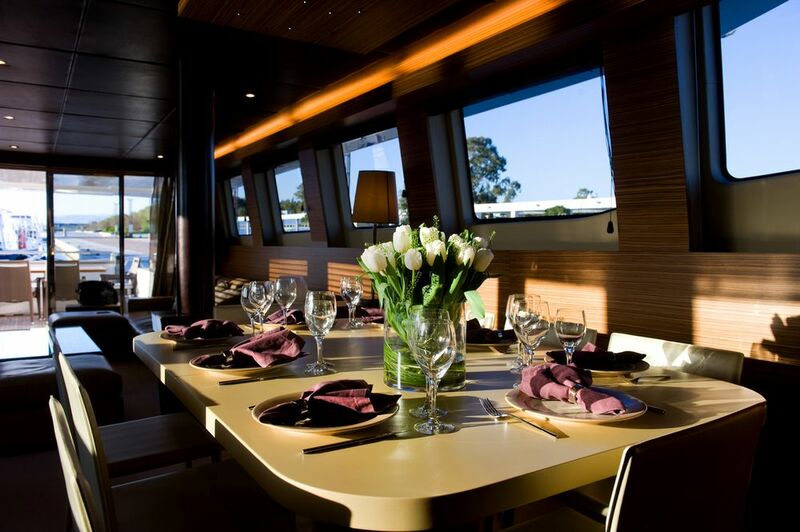 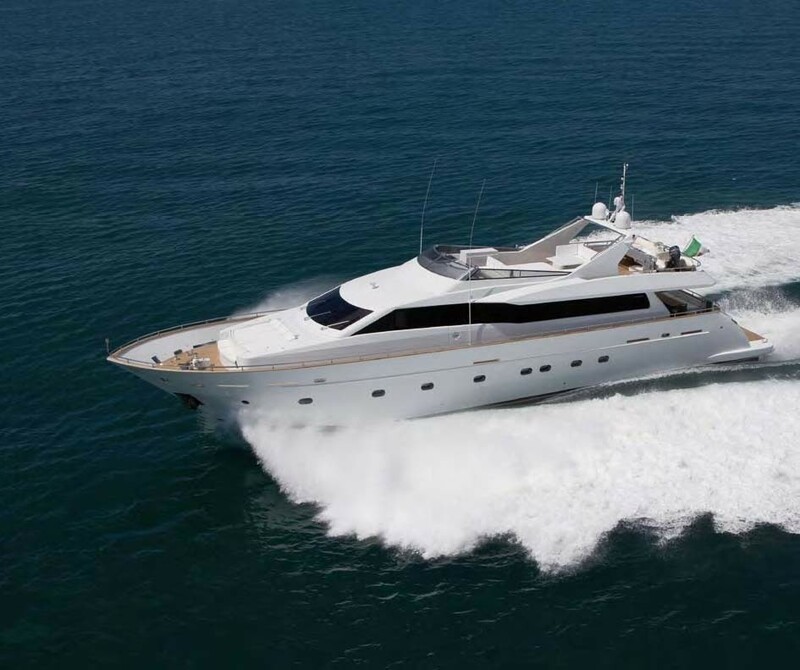 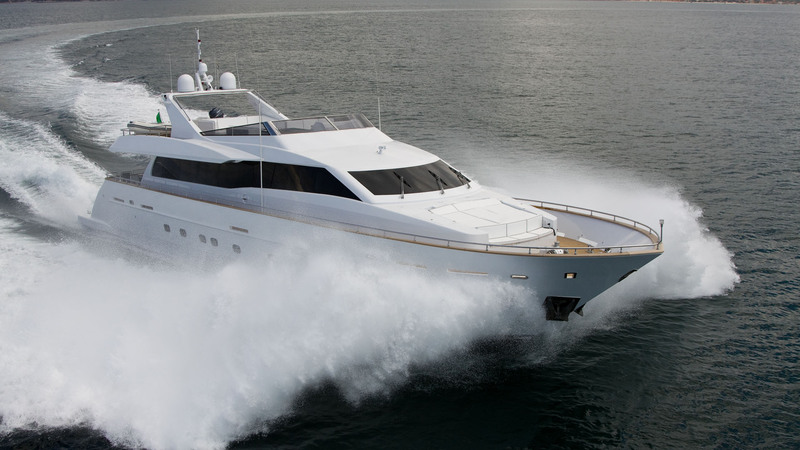 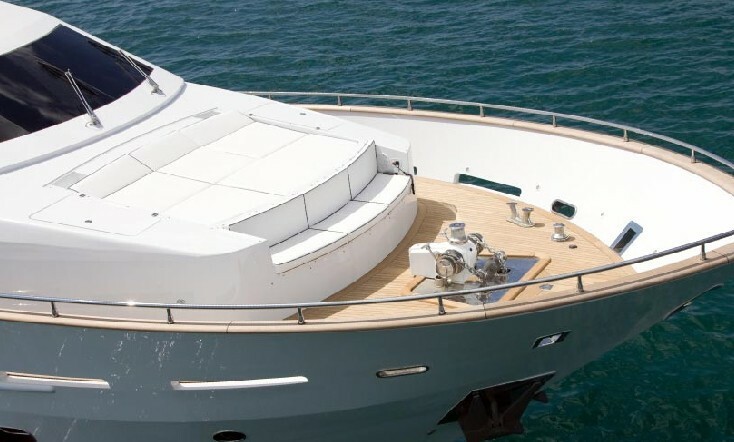 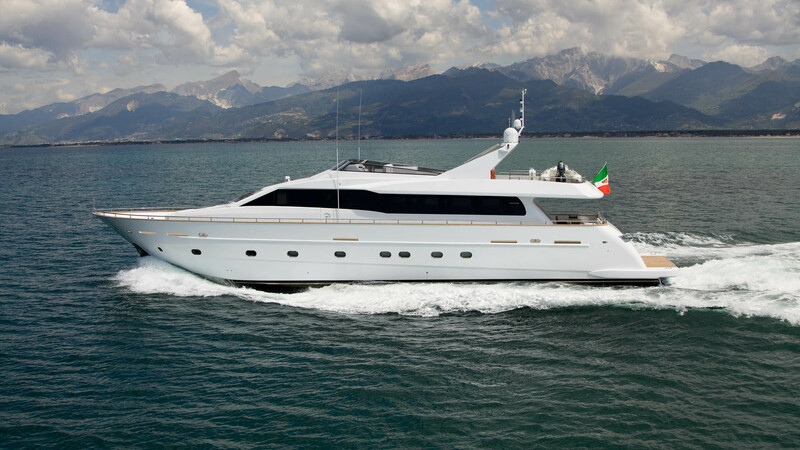 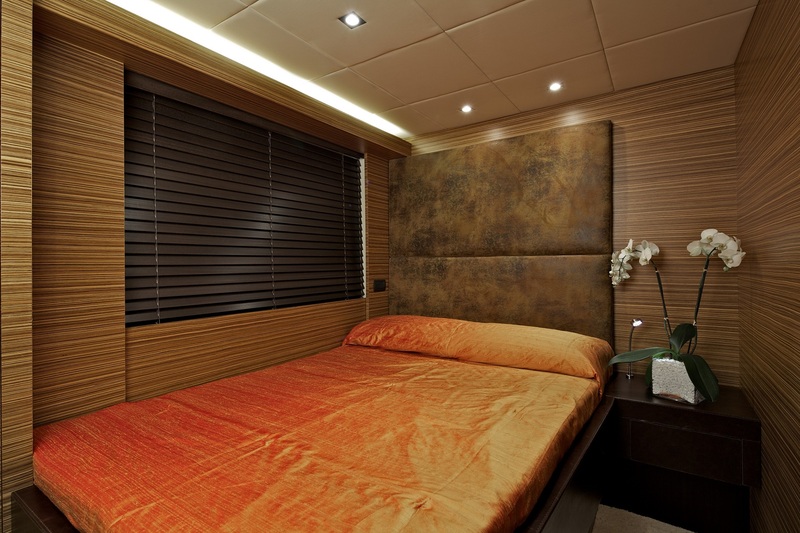 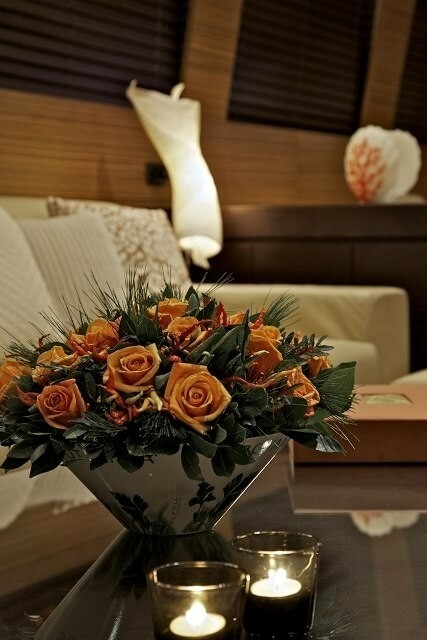 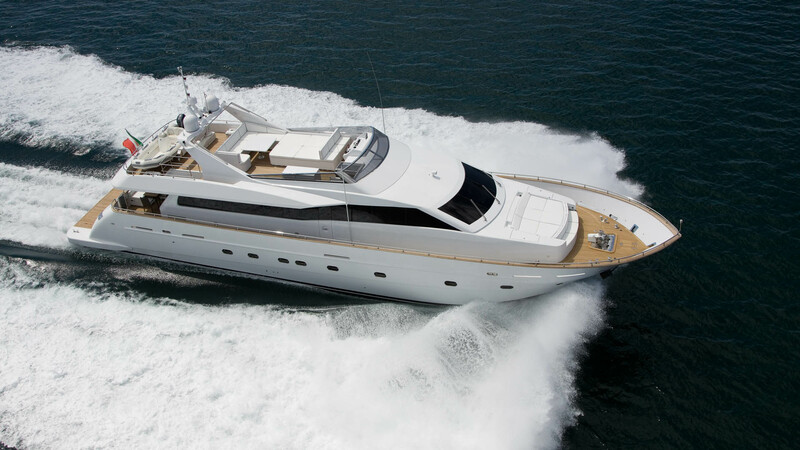 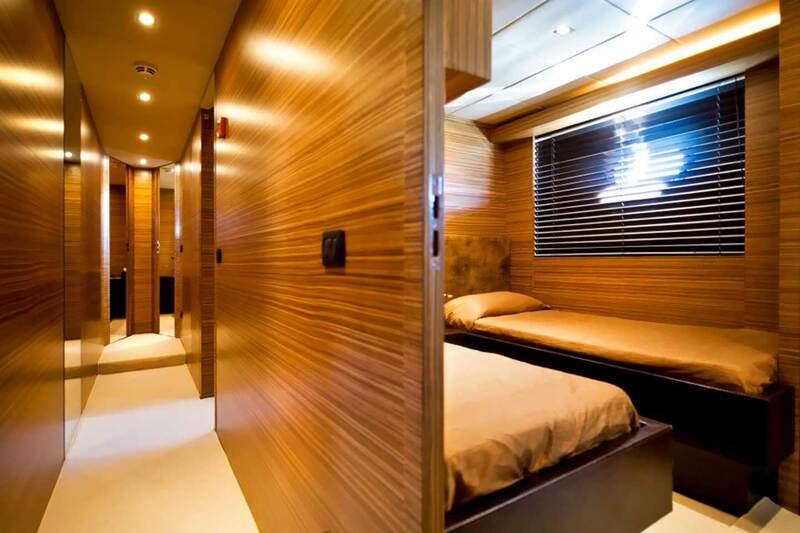 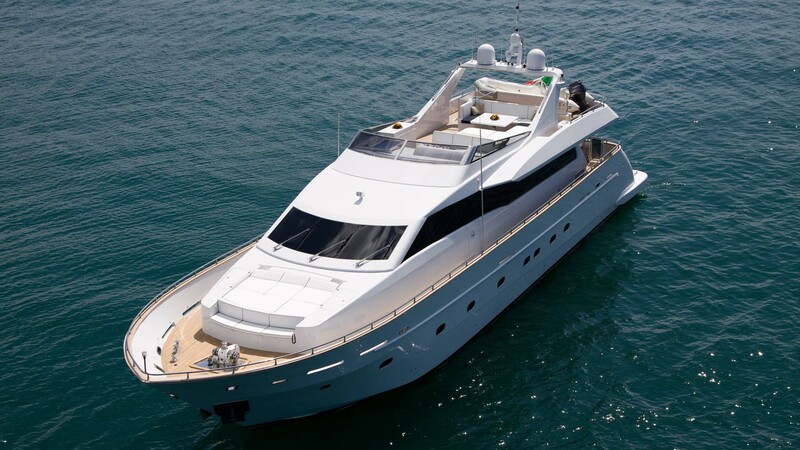 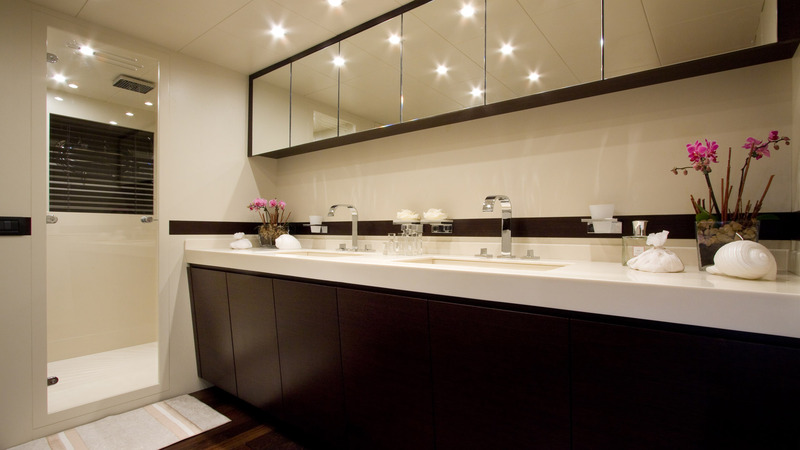 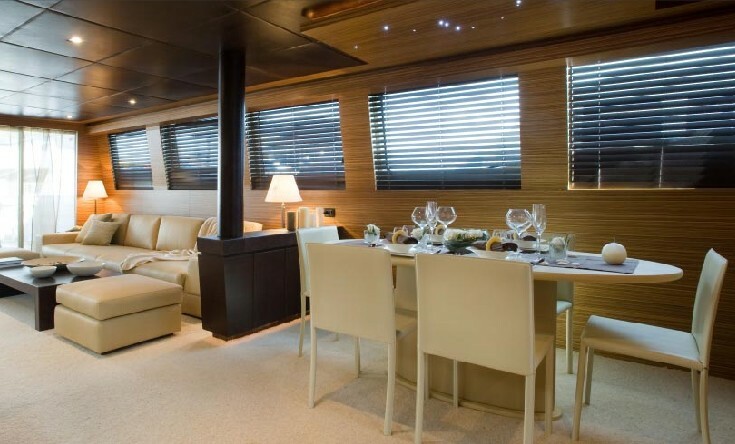 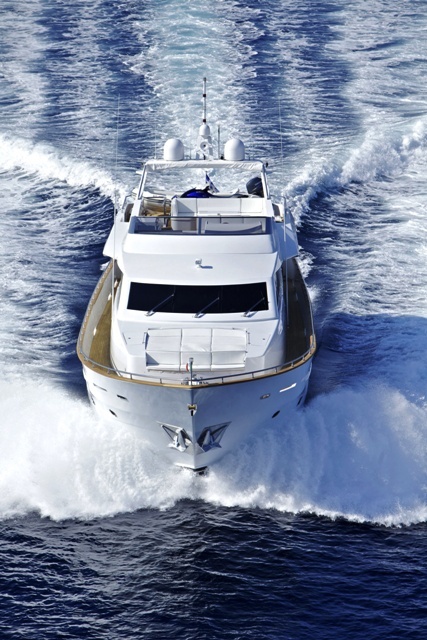 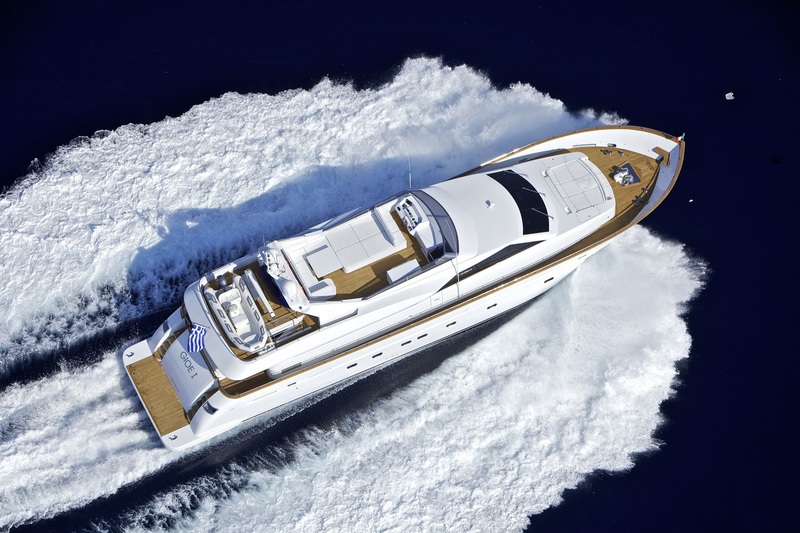 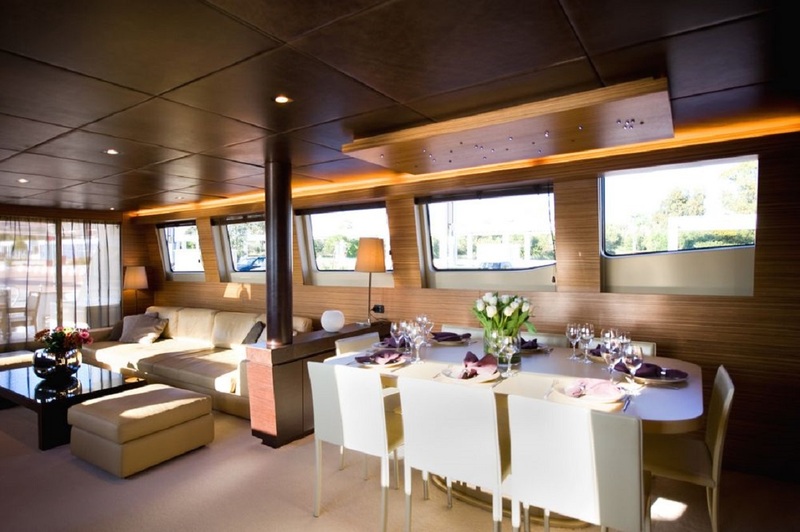 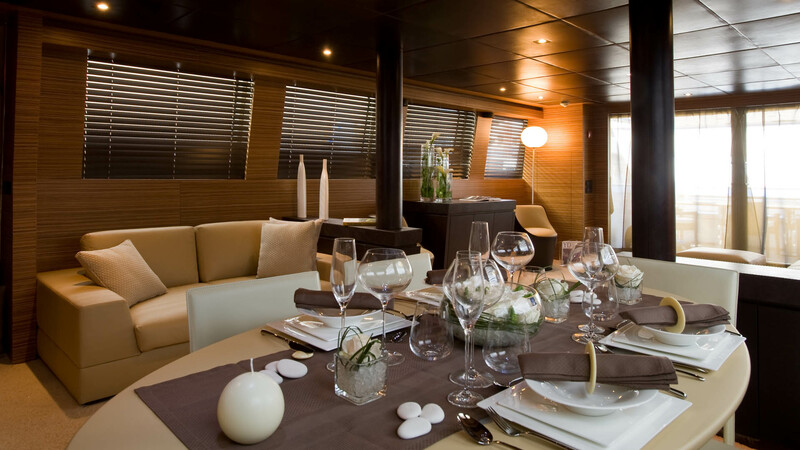 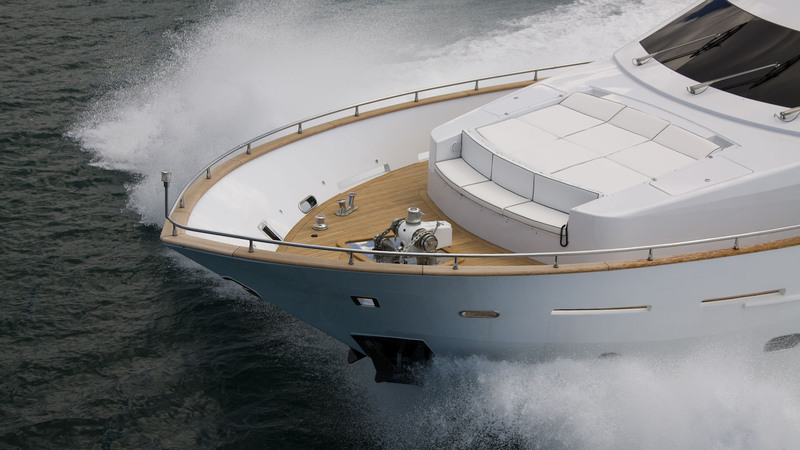 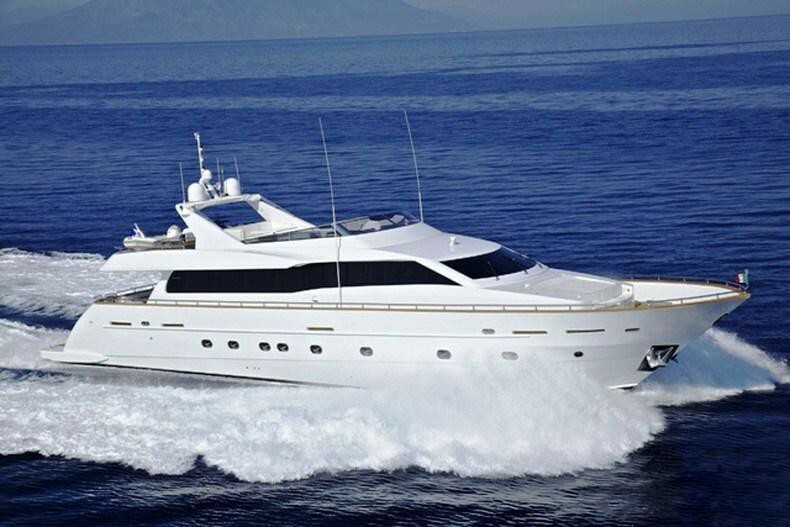 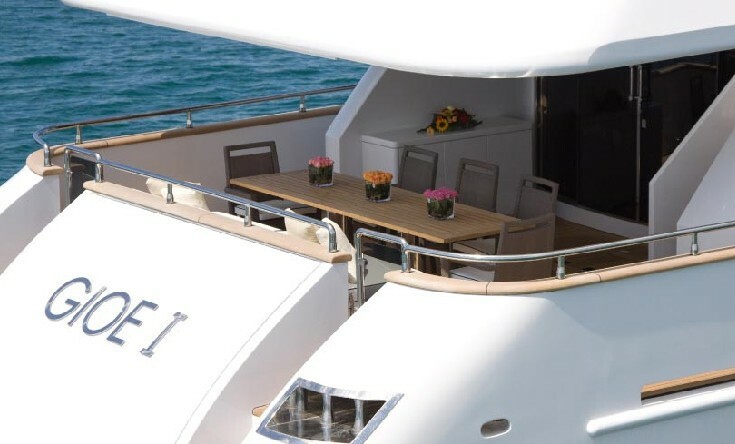 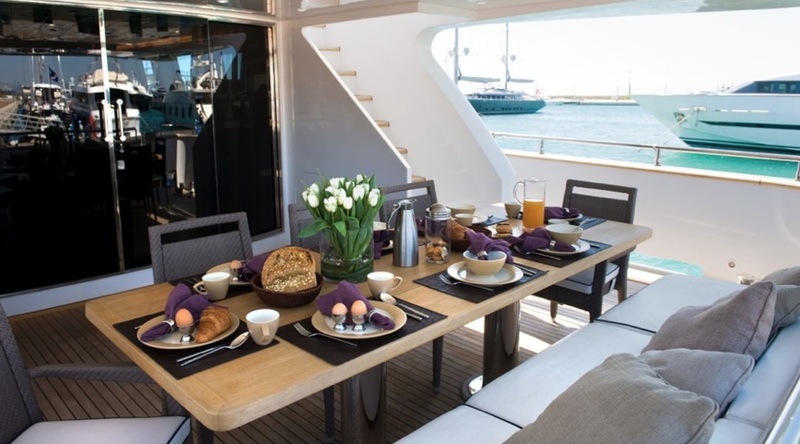 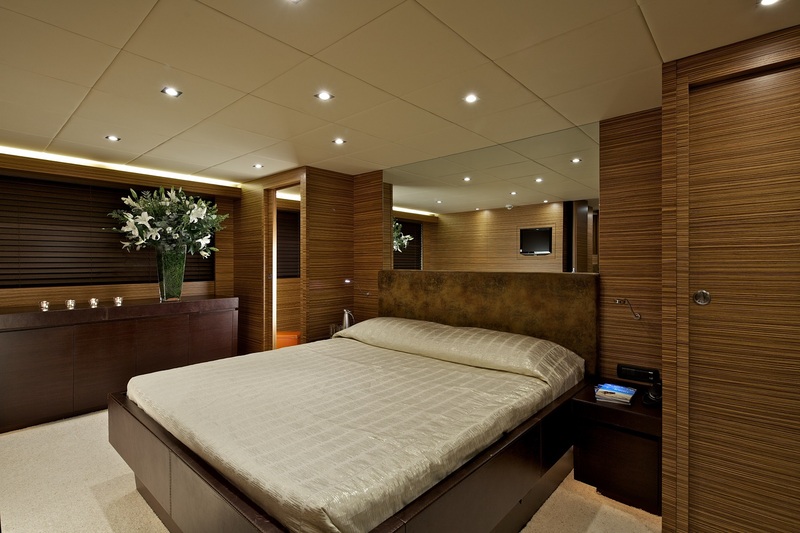 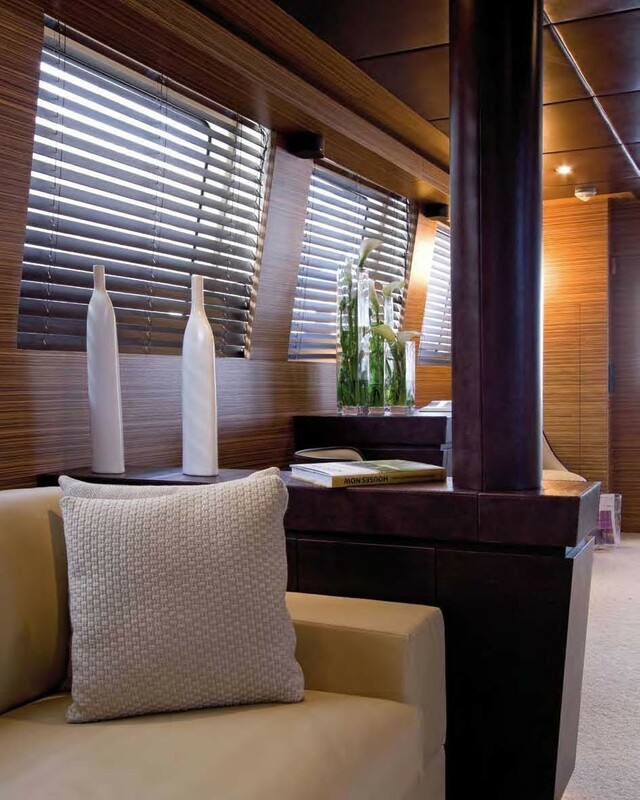 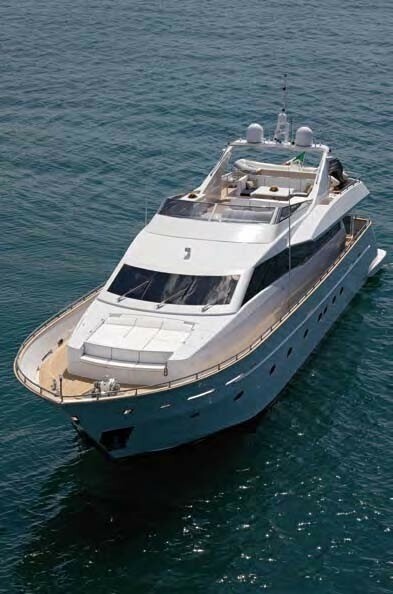 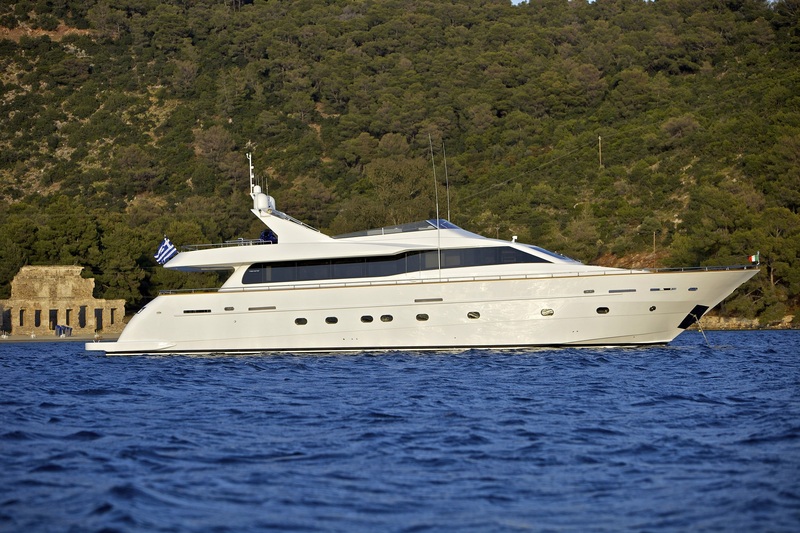 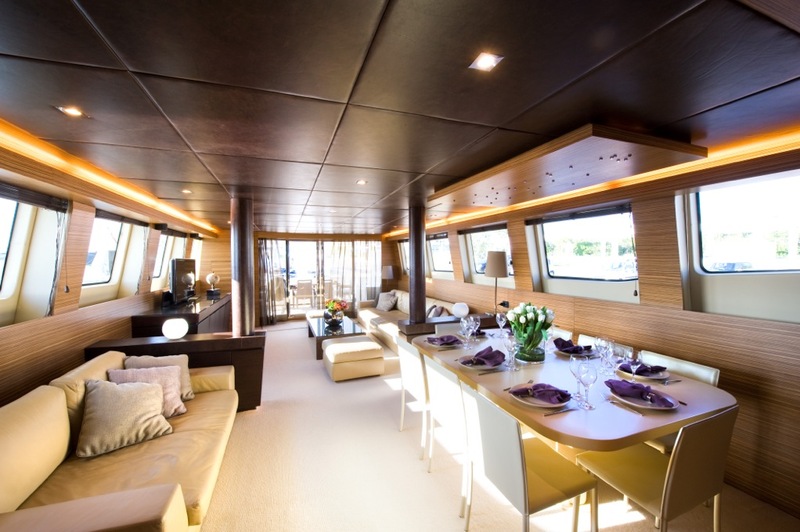 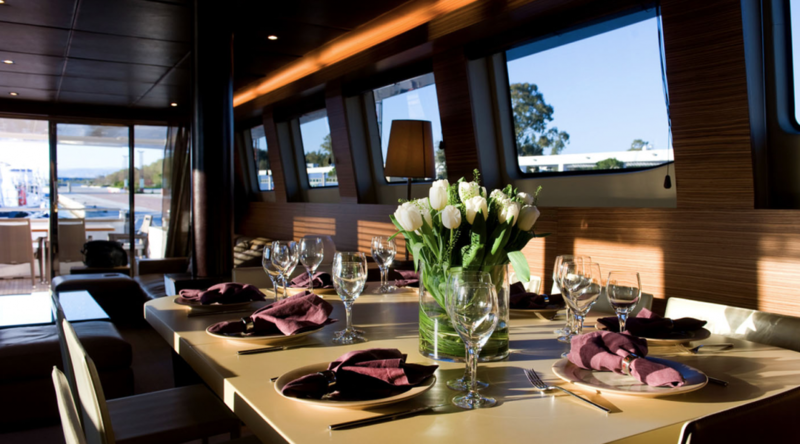 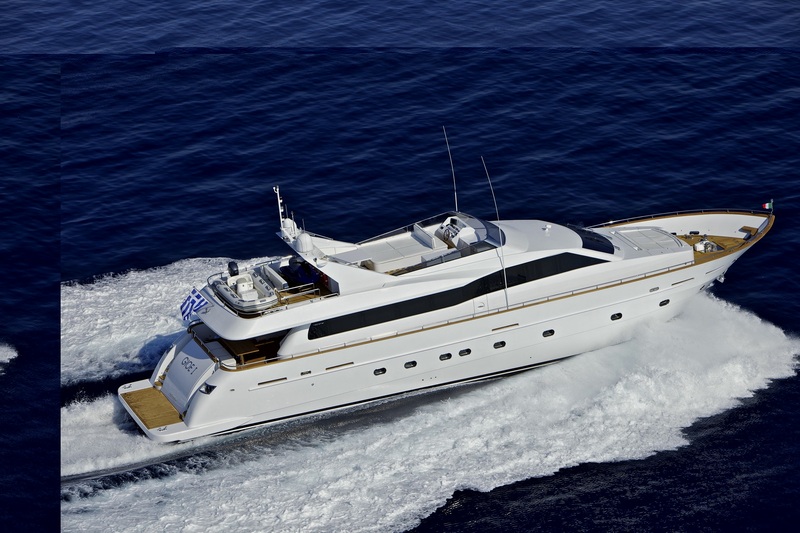 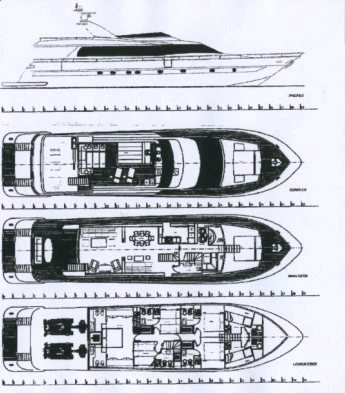 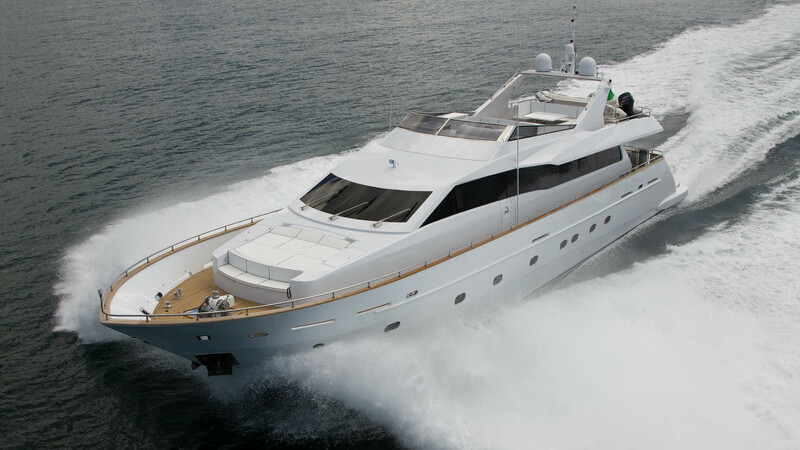 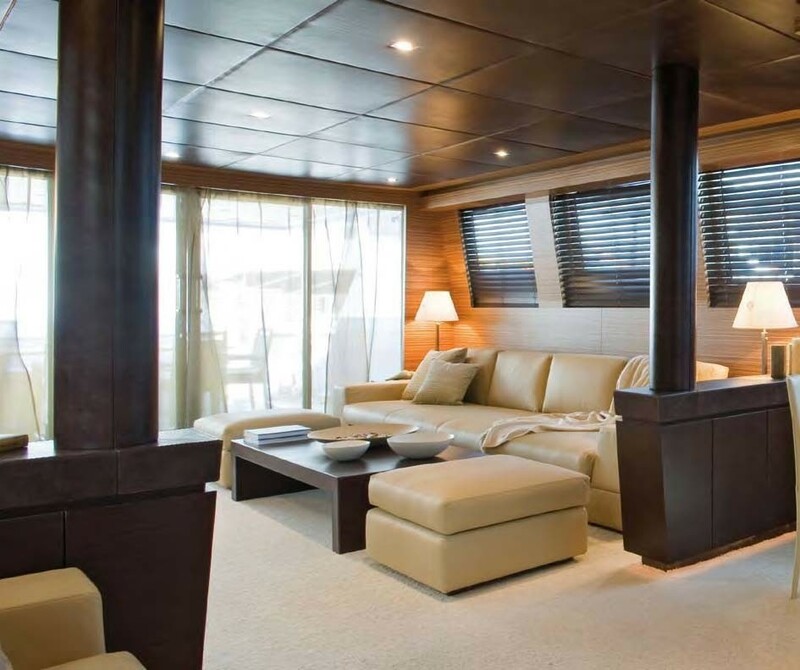 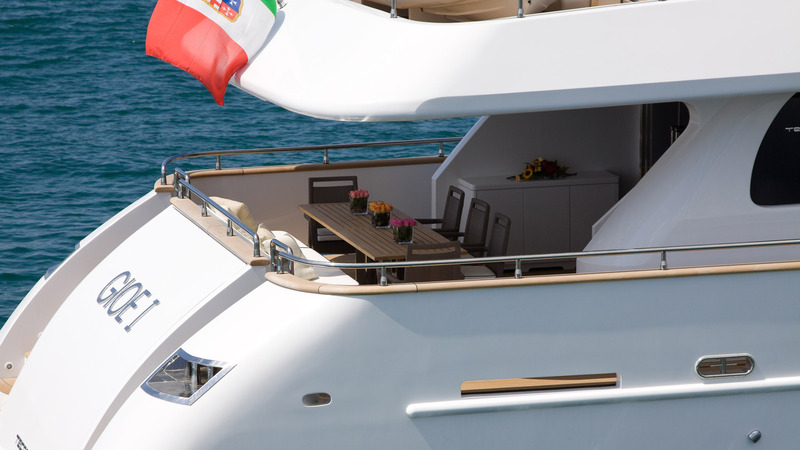 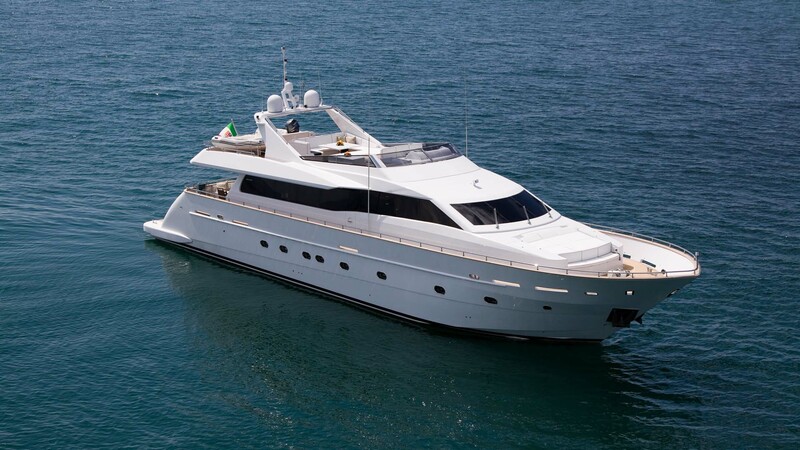 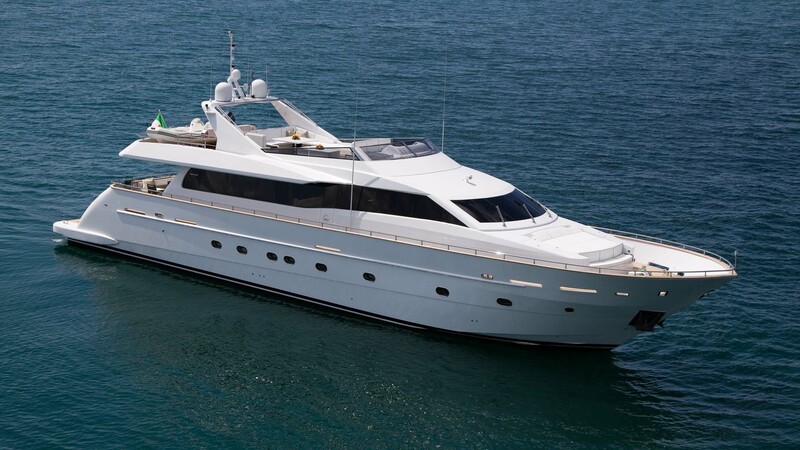 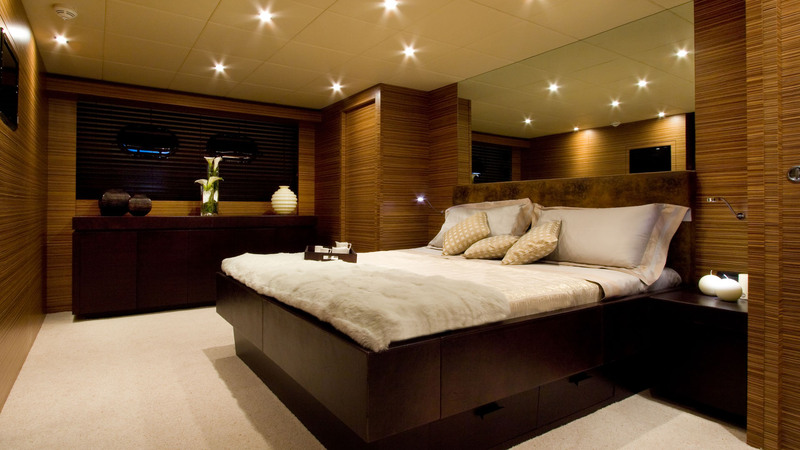 She can accommodate 12 guests in 5 Cabins, and offers her guests the perfect combination of speed and luxury. 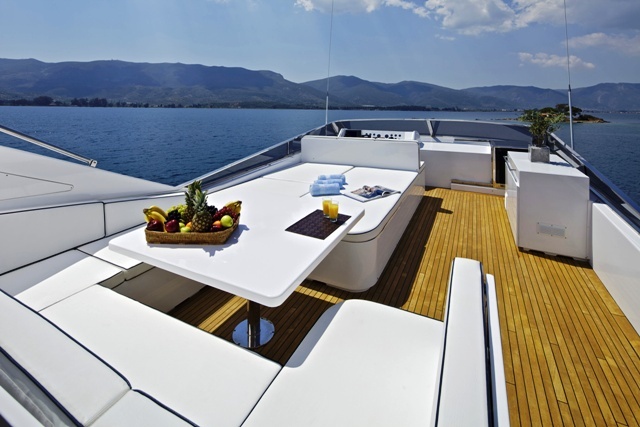 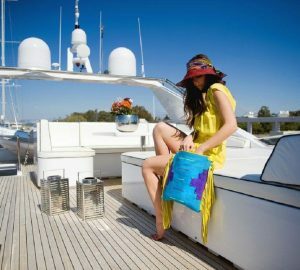 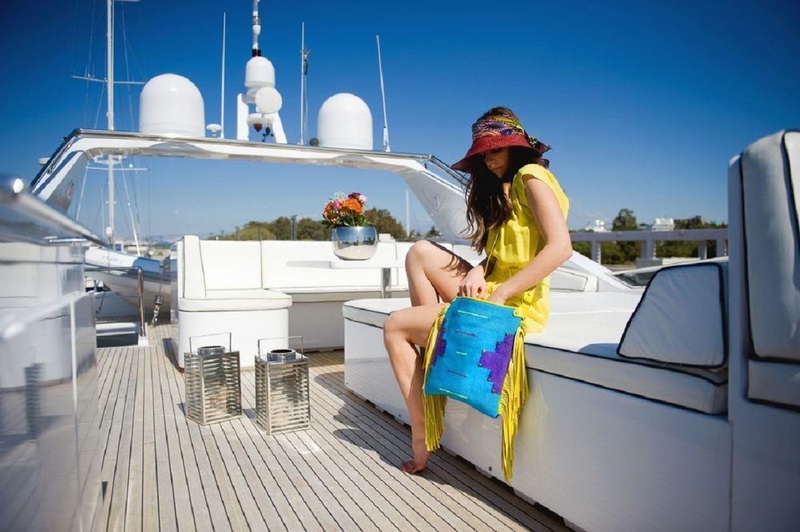 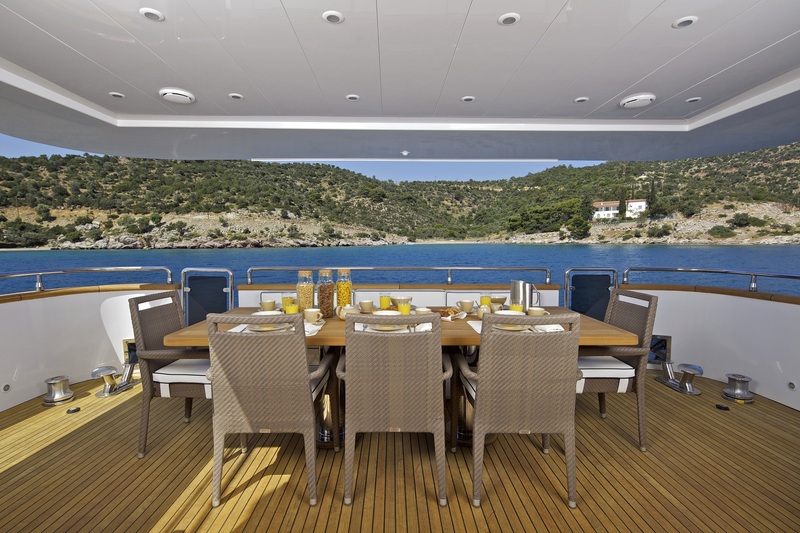 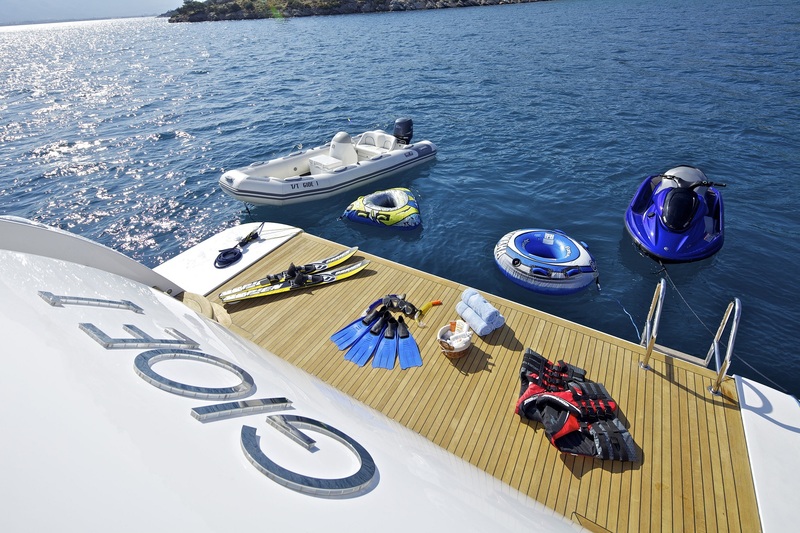 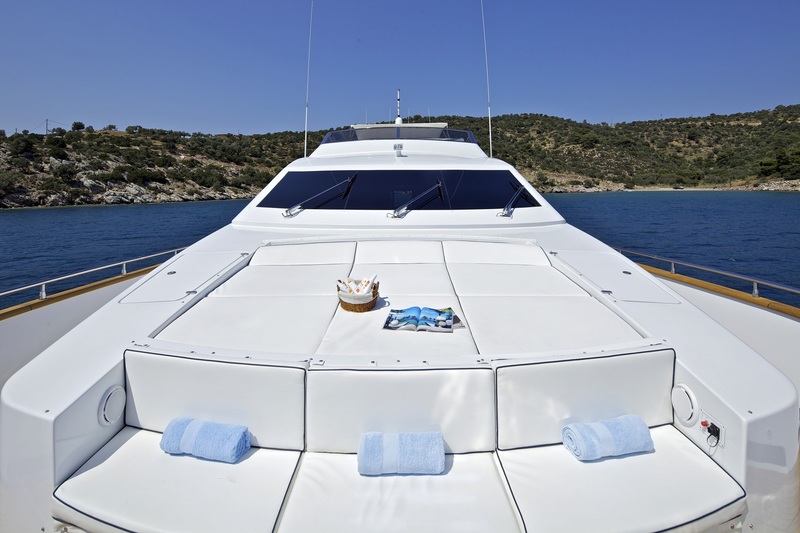 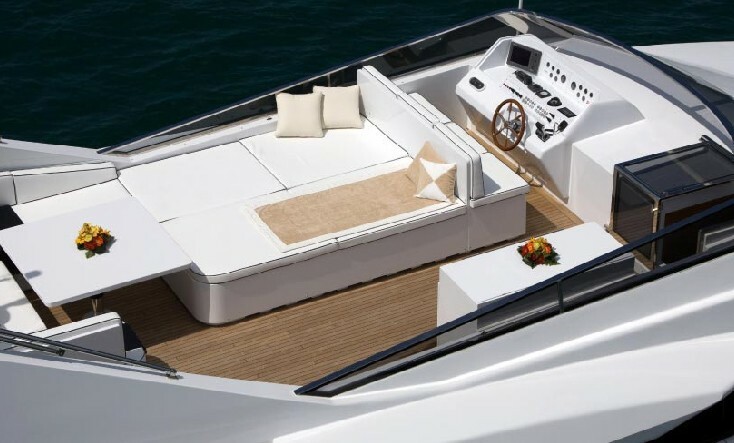 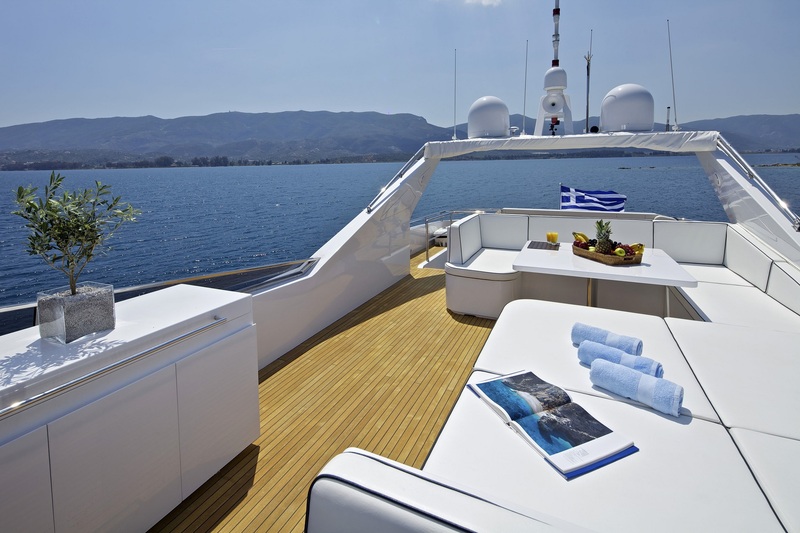 NOTABLE FEATURES: Wide sunbathing areas ~ Bathing platform ~ Shaded aft deck ~ Sleek and stylish interior ~ Comfortable accommodation ~ Nice selection of water toys. 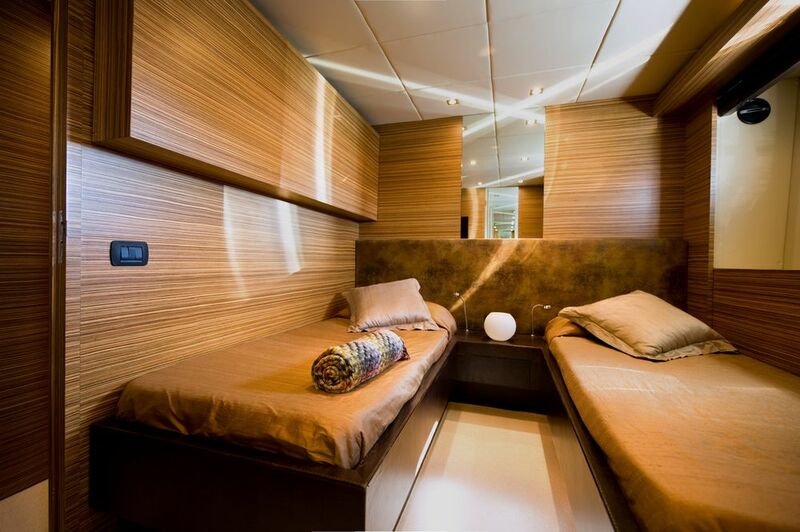 GIOE I can accommodate 10-12 guests in five cabins including One Master, one VIP, one double and two twin cabins, each with Pullman berth (the twin cabins have Pullman berths which are ideally suited to children).